Langtang Circuit Trekking is one of the beautiful trekking routes of Nepal which comprises many of the cultural & traditional riches and natural treasures on the foothill of Langtang range of Himalayas. It is filled with cultural villages, waterfalls sight, beautiful terrains, natural hot-spring, stunning mountain views, awe-inspiring sunrises & sunsets, varied topography, diverse floras, adventure passes and very significant sacred lake “Gosaikunda”. 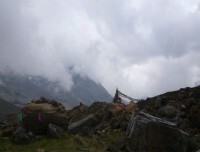 Langtang Circuit is a complete walk around places with access to food and teahouse facilities and can be breakdown into four popular trekking trails — Tamang Heritage Trails — Langtang Valley Trekking — Gosaikunda Lake Trek, and — Helambu Trekking. It is an excellent chance to explore the diversity of culture, people, landscapes and nature of Langtang region in one go. Complete Langtang Trekking starts with 7-8 hours drive from Kathmandu to Syabru Besi and follows the trails of Tamang Heritage towards the first welcoming village of Gatlang. The trail continues with fine vegetation, typical Tamang villages, awesome view of the Himalayas and we shall dip into the natural hot-spring at “Tatopani” before joining the trails of Langtang Valley. 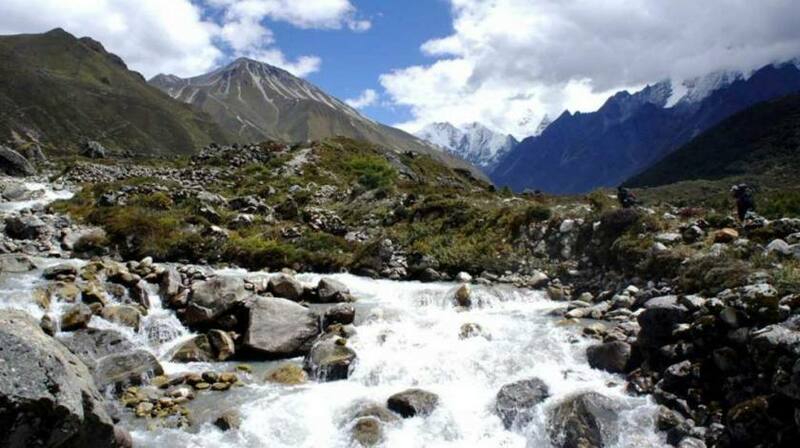 Trek to Kyanjin Gompa is an excellent walk in arid landscapes and hike to Kyanjin Ri (4773m) supply a stunning view of Langtang and Tibetan range of mountain peaks. We retrace our path until a small settlement of Pairo and head towards picturesque Thulo Syabru village and further to Sing Gompa. From here, we continue our trek to sacred Gosaikunda Lake through beautiful pine and rhododendron forest watching beautiful sunset view and a majestic panorama of Tibetan mountain range. We ascend towards the adventurous Lauribina La Pass (4610m) to Ghopte and further to Thadepati to meet the Helambu trails. Again, the green vegetation is restored with beautiful oak and Gurans forest towards the cultural village of Melamchi. Helambu trek is popular as cultural trekking route and helps to understand the dynamics of similar but different tribes of people and their cultural beliefs. We visit more monasteries and enjoy the hospitality of the local people and make a final descend to Sermanthang, a trek end point from where we shall take a drive back to Kathmandu.